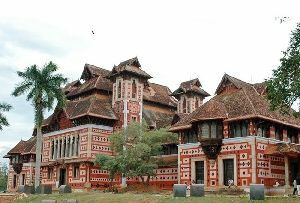 The Krishnapuram Palace Museum is located in the city of Trivandrum in the state of Kerala in the southern part of India. 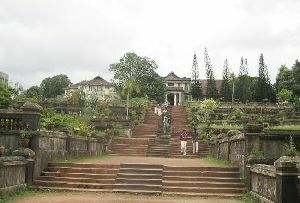 The 18th century Krishnapuram Palace is located at a distance of 47 kilometers from Alleppey in Kerala. 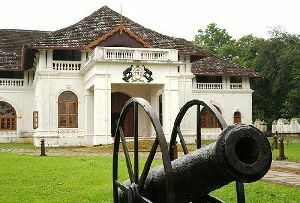 The palace was built during the reign of the Travancore ruler, Marthanda Verma, and is an excellent example of the architecture of Kerala. The gabled roofs, narrow corridors and the dormer windows of the Krishnapuram Palace Museum in Trivandrum are reflective of the typical Kerala style. 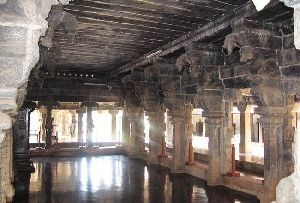 In the recent past the Trivandrum Krishnapuram Palace Museum in Kerala has been renovated and it now features as a protected monument under the Archaeology Department. 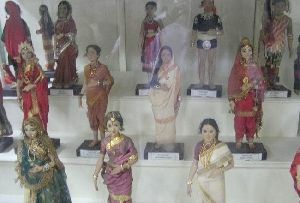 In the present day, the Krishnapuram Palace is a fascinating archaeological museum which exhibits a rare collection of unique paintings and bronze sculptures. According to the legends it is believed that Lord Vishnu was the family deity of the Kayamkulam Kings who resided in the Krishnapuram Palace. The Gajendra mural was situated at the entrance to the palace from the pond, so that the kings could worship the idol after taking their bath. 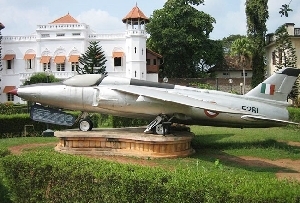 The other attractions which are worth viewing on visit to Krishnapuram Palace Museum include the immaculately landscaped garden which has a beautiful and wide range of flora within the complex of the palace. A Buddha Mandapam has been built in the recent past within which there is a recently recovered statue of the Buddha. 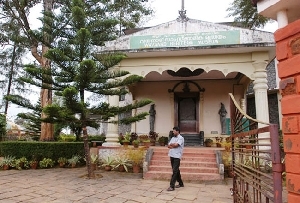 The Krishnapuram Palace Museum can be visited on all days from 9 a.m. to 5 p.m. except on Mondays. The nearest rail head is at Kollam, which is 39 kilometers away. 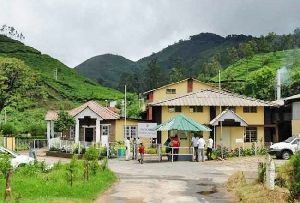 The nearest airports are Trivandrum International Airport and the Cochin Airport.